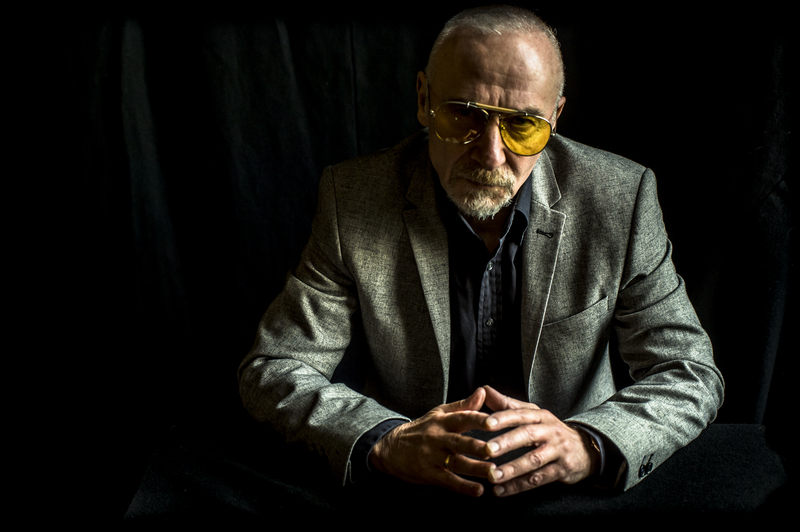 Less than a month ago, I stumbled onto the latest Graham Parker tour dates and my wife acted immediately and got us a pair of tickets for the Atlanta show last Sunday. We had almost given up the hope of enjoying him live again, but the trip to Atlanta just a month after the OMD concert there, was more than merited by the scarce Parker date! The first time we had seen Parker was in the late 90s on a solo tour at The Sapphire Supper Club in Orlando Florida. The club where we spent far too much of our time wading through the four opening acts to finally see the headliner at 1:00 A.M. The second time, was in full band mode with his pals The Figgs backing him up at Asheville’s Stella Blue club for an exciting full rock set on the back of his wonderful “Deepcut To Nowhere” album of 2001. We were fortunate enough to chat amiably with the artist following the show. That was along time ago! This time we were playing with the grownups. The City Winery chain may be straight laced and corporate, but they also don’t abuse their patrons or artists! Far from it. They are lovely rooms ideal for adult listening. We entered the venue and stopped by the merch table. I was hoping for a GP t-shirt to add to my ensemble but alas, there were none of those. Instead I opted for a lovely signed heavyweight print of the tour poster as seen above right with the very stern image of Parker looking totally like a mafia don. And then a copy of his latest album [with The Rumour! ], “Mystery Glue,” which I had not yet bought. We introduced ourselves to the two gents at our table and got right into a pleasant conversation with these two. We spoke of record geek issues as well as the live sounds of the Lowe/Parker/Costello axis which we all had past histories with. As it transpired, the alpha male used to be a dealer, and given the drift of the conversation, I came right out and asked him if he was Jack Wolak. The man behind many a “Jack Wolak’s Rare Necessities” catalog that I relied so heavily in that pre-web era. He wasn’t, but of course he knew of the famed dealer and had encountered him in his own record shopping travels. This gent’s store was called Neat, Neat, Neat [after the Damned song] and I swore I remembered that vendor from the golden age of Goldmine ads. It was lively conversation for all four of us and it really helped make the time before the show pass quickly. Against all odds there was an opening act, that had not been pre-announced [and we looked because we like to know these things]. 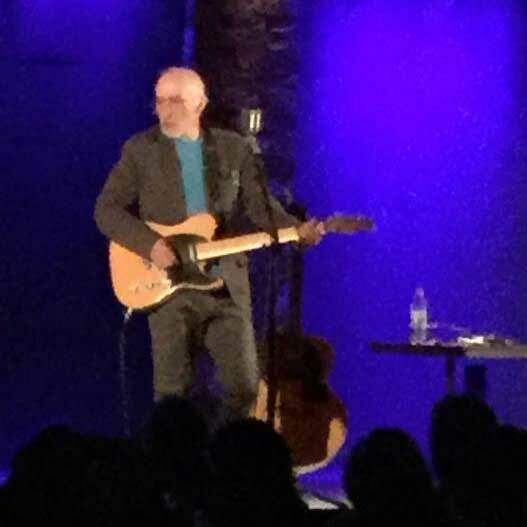 James Maddock was your basic singer-songwriter with acoustic guitar type and my wife sagely pointed out that pairing him with Graham Parker; also on acoustic guitar, was hardly the smartest booking move that one could make. This was born out by the slight tedium of the material he was performing. As soon as I heard him sing a chord, my mind was anticipating [very accurately] the next chord to issue from his lips. Given that I am not a musician by any stripe, this was not good. I’m a lay person and should not be predicting your chord sequences! His singing was in the “gritty” Bob Seger mold and the one bright spot of his set was when he ad-libbed a line from “Hollywood Nights” in his Seger-tone and laughed at his own joke. Fortunately, the technical switch between one man playing acoustic guitar and the next one was absolutely minimal, and Mr. Parker quickly took to the stage following Maddox’s set. The packed venue [tickets were scarce when we bought ours] was full of those middle aged guys [and gals] who wanted some Parker quality music this evening and we would get served very well. Parker had an acoustic guitar that was large enough to make him look small. The venue sound was clear and rich but my wife noticed there was too much reverb on the vocals early on. Sure enough, by the second song into the set, Parker asked the engineer to douse the reverb, making the sound quality just right for the remainder of the set. Good ears there, Ms. Monk. Parker dropped right into his third album for “Watch The Moon Come Down, ” which was a song that my wife and I had just heard on the tip down to Atlanta, as we played “Stick To Me” on the car’s CD player [how we’ll miss them when we buy our next car…]. “Stick To Me” was the album both my wife and I had first heard Graham Parker on. My high school had a promo copy in the radio station where I worked. Then the third song he played was “New York Shuffle;” another one from “Stick To Me.” He was avoiding the obvious thus far, and his hilarious anecdotal and flat out comedy routines between numbers were highly entertaining. Parker gets that without a band it changes the dynamic of the show and he gave full reign to his sardonic wit to flesh out the evening’s show. Ive always been a big fan of his 2001 “Deepcut To Nowhere” album. We bought it as soon as it was released and it gets a lot of play in the household. When he gave a long and hilarious intro referencing neurologist/writer Oliver Sacks that began to coalesce into what was obviously going to be an introduction to “Syphilis + Religion” I was excited to be hearing some material from my favorite GP album, which is hardly the critical go-to album from him. That would be “Squeezing Out Sparks,” which I do enjoy, [I enjoy every Graham Parker album to one degree or another] but there was something about how “Deepcut” hit me just right in 2001. “Syphilis + Religion” was definitely GP at his sardonic best! 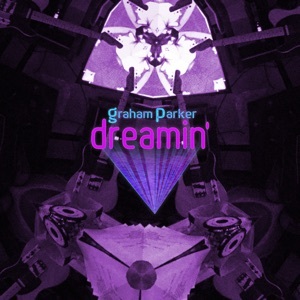 Graham Parker has just signed with 100% Records [home to OMD, among a few others] and in advance of his album in the can being readied for a Fall release, his label just released a new digital single, “Dreamin'” at the usual online stores. This was one of the songs that he had given admirer Judd Apatow for usage on one of his many projects. Live, GP swapped out his occasional harmonica rack for something I had never seen before: a kazoo rack! It’s true. He was going to accompany himself on kazoo on this one, but not before giving us assurances that he had received the utmost in kazoo training from a zen master of the form in a rambling, shaggy dog of a setup. The kazoo stood in for the creole horn section of the original [which I bought the next day] that harkened back to his “Howlin’ Wind” style for the first time in ages, but that’s where he found himself these days. Throughout the show, Parker would sometimes switch from acoustic to electric guitar for a little harder approach to vary the vibe a bit. One couple at a nearby table were ecstatic to hear Parker announce a tune [“Things I’ve Never Said”] from the “Your Country” album he recorded during his productive tenure with Bloodshot Records in the naughts. When he later played “Socks + Sandals” from “Deepcut To Nowhere.” it was my turn to get overly enthusiastic. I was happy to hear Parker himself describe the album as one of his favorites from his “mellow period.” It would not be the last love said recording got this evening. Quite frankly, he let the full story of that biting song unfold with the morose tale of his fateful gig at the Milk Bar that sparked the song, and the resulting standup piece [altogether more funny because it was the truth] outlasted the actual song by at least 2:1. For any gigster who has played to a floor with just two couples on it by the time you – the headliner – began to play; and then they proceeded to get into a fight [joined in with the FOH engineers who broke the melee up], there was a lot to commiserate along with GP in his hilarious intro. Of course, the song put the entire ordeal into sharp relief as a song full of musical hooks as well. Another selection from “Sparks” was followed by one more from “Howlin’ Wind” before the artist left the stage in the packed house for all of 30 seconds. Since Parker had not played Atlanta in 15 years, he quickly came back out and served up a four song encore. Longer than his usual three songs, judging by his setlist.fm feed. The fourth song from “Deepcut” [“Last Stop Is Nowhere”] really gave that album a showcase this evening. This was followed by a pair of runes from “Sparks” which, it must be said, was just re-issued in a DLX RM last December and in evidence at the merch table. Then he peeled out “Hold Back the Night,” his Trammps cover from the “Pink Parker” EP of ’77, and with that the evening came to a finale. The crowd were on their feet giving back 100%. The evening had been an excellent payback on the not inconsiderable investment of an overnight, out-of-town trip. As my wife put it when buying our tickets, “he’s not getting any younger!” Neither are we. At 67 Parker is an old pro who has somehow recorded 25 albums of material and managed to come within our orbit [or reasonably close, as in the case of this show] just three times in the last quarter century or so. I’m hoping that we might see another show of his in less than a generation the next time. 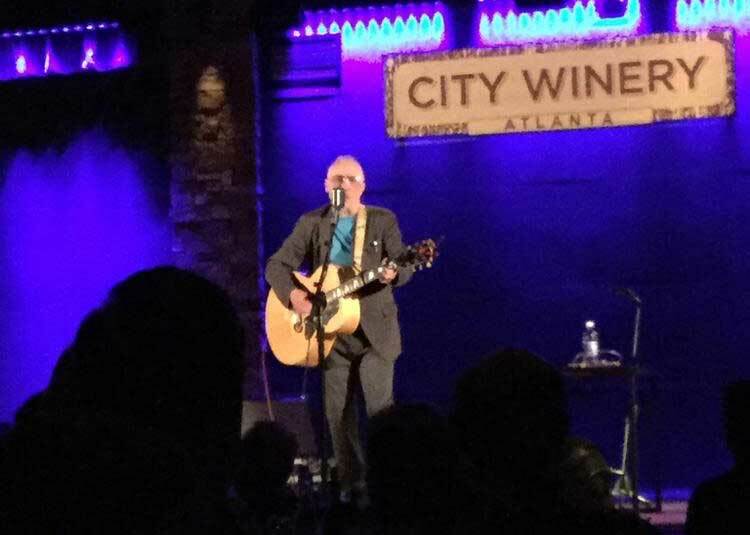 This entry was posted in Concert Review and tagged 2018, Atlanta, City Winery, Graham Parker, Live Concerts. Bookmark the permalink. I definitely remember Neat Neat Neat from the Goldmine years! While I agree that GP has such a great catalog of albums, that it seems almost ridiculous, I have to express my massive love for Stick To Me, Parkerilla, Squeezing Out Sparks and The Up Escalator. Even having Springsteen invading the backing vocals on the later album’s Endless Night doesn’t diminish the strength of the single. But what Parker can still do better than any of his late 70’s peers is slow it down and shift from blinding rock and vitriol to passionate, emotional, introspection. For me Graham Parker wrote one of the era’s more politically and emotionally charged songs in You Can’t Be Too Strong. Echorich – There are serious blind spots in my GP collection. The first two, and then basically 1980-85 are the large gaps for me. As I absorbed much of his body of work, I was very impressed by the tonal range of it. The bite, humor, introspection and pathos were served up with an unflinching eye even as the stylistic range of it was less than his peers. JJ and EC were willfully eclectic in comparison, but they have often failed these ears.